Heavens! 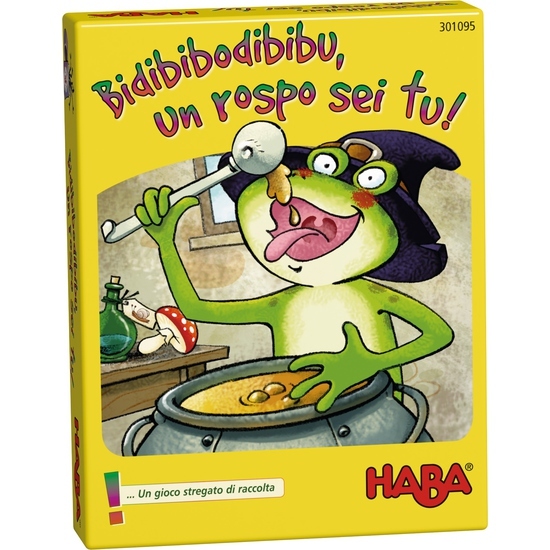 Habiba, the clumsy witch has transformed herself into an ugly toad. Now she has to brew a powerful antidote potion. But for the potion to work she needs as many ingredients of the same type as possible. Only the one who swaps cards skillfully and has some luck will win the game. Contents: 1 toad Habiba, 1 die, 35 ingredient cards, 7 raven cards, 1 overview card, set of game instructions.